The blues has always been about addressing heartbreak and strife going back to 1930s Depression-era America. Northampton-based indie garage rock blues duo Old Flame seem to share that sentiment for today’s world. The band’s debut seven-song EP, Wolf in the Heather, features songs of resistance to the Trump Administration with biting lyrics and a penchant for muddy blues riffs. “The storm is raging but I’m caught in this cage/ I ain’t ready for this hand to be played/ Everyone’s looking/ For someone else to blame,” sings Vocalist Emma June Ayres on the EP’s opening track, “Major Arcana,” which begins slowly with a reverb-heavy swamp-blues riff by Guitarist Sam Perry. The duo sing in unison throughout the song with moments that are haunting, rousing, grief stricken, and incendiary with feelings of indignation. The song ends with a burst of distorted barre chords and the repeated mantra of “We’ll shoot you down,” that starts off as a punchy rallying call before mutating into unfettered groans. Although Old Flame performs live as a duo, this EP features drum and bass session work by Chris Kerrigan, who also recorded, produced, and mixed the songs at Amity Studios in Amherst. Kerrigan builds a rhythm section that doesn’t feel like it’s just going through the motions — drum fills bring some songs to mountainous apexes while others feature solid engaging grooves. One of the highlights of Wolf in the Heather is “Smoke Show,”— a folky upbeat earworm that turns into a boisterous rock n’ roll song at the chorus. This is where the garage rock stylings of Old Flame are really noticeable and you can’t help but bang your head along. The coda is where the song makes a dramatic shift – Ayres belts out a plaintive melody that practically rips the heart strings out of your chest. It ends in a solemn whisper. Midway through the EP, the band shifts to genres beyond the realm of blues; jazz influenced indie rock, proto-punk, and even a little funk. “Queen Trigger” builds a dense fog-like atmosphere that mirrors the sense of loss pervading Wolf in the Heather. Ayres’ vocals seem to be influenced by Radiohead’s lead singer Thom Yorke on this song and that’s not a bad thing at all. Her jazz-influenced crooning pairs wonderfully with the ghostly guitar effects that reverberate in gentle waves as if trying to wash away an encroaching malaise. Political commentary is potent on “Land of Milk and Honey” — a disco/funk tinged song that rails against corporate capitalism. The only drawback on this song is an edgy approach to the vocals from Ayres, which seems a little forced at times. The politically charged lyrics seem to take inspiration from early protest folk singers such as Woody Guthrie and Pete Seeger, but are also reminiscent of rock acts like The Last Internationale and the MC5. By contrast, “Ain’t A King” features acid-tongued lyrics that capture the spirit of proto-punk in a bottle; a rollicking anarchistic flair for damning it all to hell. Fuzzy, distorted hard rock guitar licks from Perry are paired with, again, edgy vocals from Ayres. But this time it works wonderfully. Iggy Pop would be proud. Wolf in the Heather closes with “Silver Screen” — the acceptance stage of this EP that reveals a theme that’s seemingly about traversing the mire of the seven stages of grief. That acceptance is a bitter one — “Make me believe/ There’s something better/ Thread the projector watch it spin.” The lyrics are confessional and Ayres sings with a world weariness that contrasts nicely with Perry’s melodic and groovy guitar lines that bring a lightness to the bleak revelation. “What’s it like to be on the other side of nothing?” Ayres asks. Old Flame’s first outing is a solid one. Each song stands on its own legs without blurring into one another. The wall of pathos on the record sometimes stands too firm compared with the moments where hope breaks through the cracks, but that’s probably the point. After all, that’s how a lot of Americans felt after Trump was elected as president and this EP captures that time as it was for many – a sleepless dark night of the soul before grief underwent a metamorphosis into protest and dissent. 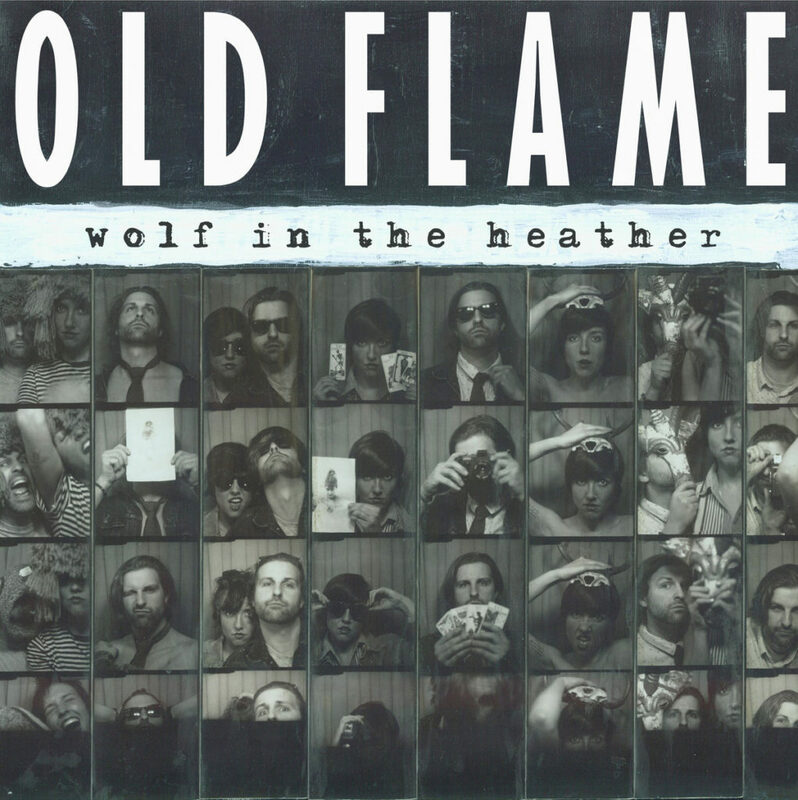 To listen or purchase Wolf in the Heather visit http://www.oldflame.bandcamp.com.